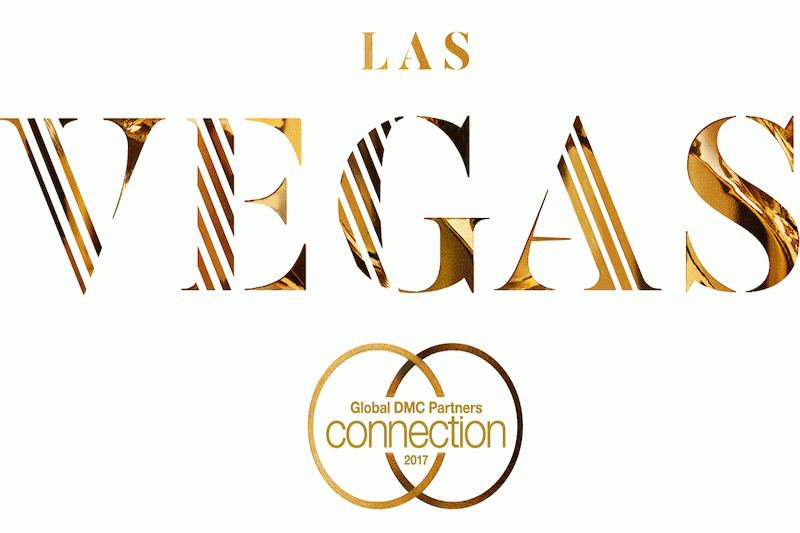 Global DMC Partners, the largest global network of Destination Management Companies (DMCs), announces today that 200 attendees will attend the 2017 Global DMC Partners Connection at the Bellagio Resort & Casino in Las Vegas, NV from August 24-27. Top meeting professionals and DMC industry leaders from around the world will have the opportunity to learn about key industry trends and the current global outlook, discuss and share best practices, meet one-on-one with DMCs and sponsors, and network with their peers. The two-and-a-half-day annual event will feature a presentation, MICE Industry: State of the Global Industry and Top Trends, by Michael Dominguez, Chief Sales Officer of MGM International Resorts, and will include collaborative round-table discussions, meeting planner breakouts by industry, one-on-one appointments, and attendee-elected tours and activities in Las Vegas. To develop the conference education, Global DMC Partners surveyed all Connection registrants to identify the subjects that are most relevant and important to meeting professionals. Their findings conclude that the top three concerns for planners in 2017 are shrinking meeting budgets, creative event options, and how to effectively work with DMCs, hotels, and event vendors. Global DMC Partners Customer Advisory Board members will help moderate client breakout sessions and round table discussions where participants will brainstorm and work together to come up with actionable takeaways on the above-mentioned topics and more. An optional hotel contract negotiation breakout session is available to attendees where a panel of U.S. and International hotel experts will answer questions and provide practical solutions for working with hotels. Las Vegas-based DMC, Fudale, will organize and run afternoon activities and tours to give attendees an exclusive opportunity to experience a new side of Las Vegas. Fudale was hand-selected by Global DMC Partners as their exclusive DMC Partner serving Las Vegas based on their creativity and close attention to quality and detail. SongDivision, the world’s premier experiential music agency, will host an exclusive VIP recording studio experience at the Palms Casino Resort where all Connection participants will tour the Studio at the Palms and have the rare opportunity to record and produce a song. Immediately following the Connection, Global DMC Partners will host its annual Peer Exchange, a strategic meeting designed to bring together their DMC members – including owners, senior-level directors, sales, operations, and creative staff – in a collaborative environment to foster education and best practice sharing within their DMC partnership. The Peer Exchange will take place at the Bellagio Resort & Casino in Las Vegas, NV from August 26-28.